Shinnai Tagatayū was appointed the seventh iemoto of the Fujimoto branch of the Shinnai-bushi genre, whereupon he assumed his current stage name. He demonstrated his extraordinarily forward-looking approach to his art at a concert held in April to mark his assumption of this role. Together with his father, the Living National Treasure Shinnai Nakasaburō, he is currently one of the two mainstays of the Shinnai-bushi genre and high hopes are held out for his future activity. At the Tokyo University of the Arts he conducted extensive studies of the various genres of Edo-based narrative shamisen music known collectively as Bungo jōruri (including genres such as Tomimoto-bushi, Tokiwazu-bushi, Shinnai-bushi and Kiyomoto-bushi), and his solid performance style is underpinned by his academic achievement as represented by his doctoral dissertation. He is also actively involved in creative work in other genres such as the Kabuki and Shinpa theatres and has gained a high reputation for his work in this area. He is expected to make a major contribution to the future of Japanese traditional culture. Shinnai Tagatayū is the seventh iemoto in the Fujimoto branch of the Shinnai-bushi genre. Born in Tokyo in 1982, he began studying with his father, the Living National Treasure Shinnai Nakasaburō, at the age of six. He subsequently studied in the Department of Japanese Music in the Faculty of Music at the Tokyo University of the Arts. 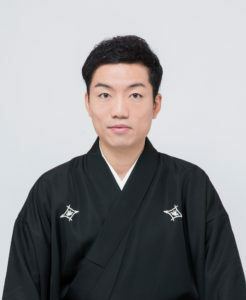 He gained his doctorate in musicology in the field of shamisen music in the Musical Research Department of the Tokyo University of the Arts graduate school with a dissertation entitled ‘The origins and development of the uwajōshi tuning with reference to the koto’. He has appeared on the Kabuki and Shinpa stages at theatres including the National Theatre, the Mitsukoshi Theatre and Kioi Hall. He is reviving the tradition of itinerant Shinnai-nagashi at the Fukagawa Edo Museum. He is also attempting to spread awareness of the Shinnai tradition among children through his work as instructor in Chiyoda ward’s ‘Art in Schools’ system. He is Director of the Shinnai Association. He was awarded the Jōei Prize for Japanese traditional music at the Tokyo University of the Arts in 2004, the 22nd Encouragement Prize of the Seieikai Foundation in 2009, the New Artist Prize in the 34th Matsuo Performing Arts Awards in 2013, the New Artist Prize in the 68th Arts Festival sponsored by the Agency for Cultural Affairs in 2014, and the New Artist Prize of the Ministry of Education, Culture, Sports, Science and Technology in the 65th Arts Awards in 2015. He has composed many pieces including Kotobuki neko (The Lucky Cat); Otohime (Princess Otohime); Inaba no shiro-usagi (The White Rabbit of Inaba); Namidayama: Narayama-bushi kō (Mountain of Tears: The Ballad of Narayama); and Iroha mandara: Kūkai (Iroha mandala: Kūkai). He has also composed music to accompany many theatrical productions including Yōhen Genji monogatari: Yūgao, Tamakazura, Aoi and Kinyaku Genji monogatari: Kiritsubo, Hahakigi (based on episodes from The Tale of Genji); Tsuchimikado ōji; Shinshaku konjiki yasha; Izakaya O-Natsu; Fukagawa-doshima; Akegarasu tenshō; and Kuro-tokage (Black Lizard). In the Kabuki theatre he has composed some of the music for the plays Mahabharata senki and Sekai no hana Oguri Hangan.